So you can rely on us to deliver on time and budget. Our extensive electrical and plumbing wholesale businesses are core to the organisation. Being 100% Australian privately owned enables us to empower our local managers to run each business in the way that best suits their customer’s needs. Localised decision making underpinned by the purchasing power of the world’s largest wholesaling groups allows us to provide personalised service with surety and financial strength. In addition to wholesaling, we have assembled a unique group of specialist supply and services companies. Each business operates under its own brand but all work together to share expertise and support services, to leverage opportunities for growth, and to maximise efficiencies through collective buying power. This means we source products at competitive prices so you can be confident you are getting the best value solution every time. The BGW Group of companies strive to achieve superior customer service by utilising experienced staff and quality products. We are proud of our history and look forward to a strong future of growth for both our customers and suppliers. We are proud of our history which has created the strong foundations that support our ongoing success. In 1982 CNW Electrical was purchased as the first company in what has become the BGW Group. Since then we have developed and diversified as illustrated in the timeline below. We remain a privately owned business and attribute our success and continued growth to our philosophy of believing in people, innovation, and providing quality products and services. To ensure our continued growth and success we continue to offer friendly and professional service whilst maintaining strict quality, safety and environmental standards. We look forward to continuing this strong growth in partnership with our customers and suppliers. Robert Fergusson opened in Tasmania, supplying to the domestic and commercial electrical and plumbing markets. Samios was started by a father and son team in Stones Corner, trading as a plumbing, hardware and earthmoving business. The first CNW branch began trading on Stanley Street in East Brisbane. The three owners were Cameron, Nielsen and Walters. Sherriff was established by Gary Sherriff in Melbourne. CNW East Brisbane was purchased by the BGW Group. Specialist Export Services was established to provide technical and product support to the electrical and construction industries. Norfoam was established in Innisfail to provide North Queensland with insulation products. Samios was purchased by the BGW Group. Sherriff Melbourne was purchased by the BGW Group. Robert Fergusson stores in Launceston, Devonport and Burnie were joined the BGW Group. The TSG joint venture was formed between CNW Electrical, Wholesale Electric (USA) and R & M Electrical (U.K.), to supply the Gorgon LNG project in Western Australia. CMMS was established as a joint venture between CNW Electrical and Wholesale Electric (USA) to provide inventory control, waste reduction and delivery schedules for the construction of LNG plants in Australia. 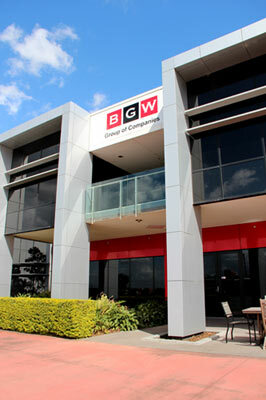 BGW Technologies was established by the BGW Group in Brisbane as an electronic security technology company. CNW Energy was established by the BGW Group to provide service and support to the TSG and CMMS joint ventures. Broughton Minerals, which holds various mining leases and tenements in Queensland, joined the BGW Group. Lighthouse, which provides local expertise in lighting and electrical, joined the BGW Group. Cablemakers was established by the BGW Group to service the cable distribution market in North Queensland. SES joined the BGW Group. Energy Saving Specialists was established by the BGW Group to help commercial, hospitality, industrial, manufacturing and healthcare operations save power and money. Our diverse group of companies operate in a variety of industries and we value motivated staff. We are always looking for a wide range of skills and experience. Please submit your resume below so we can consider which part of our business you may be best suited to join.